Homemade Pretzel buns or rolls, made from simple yeast dough. 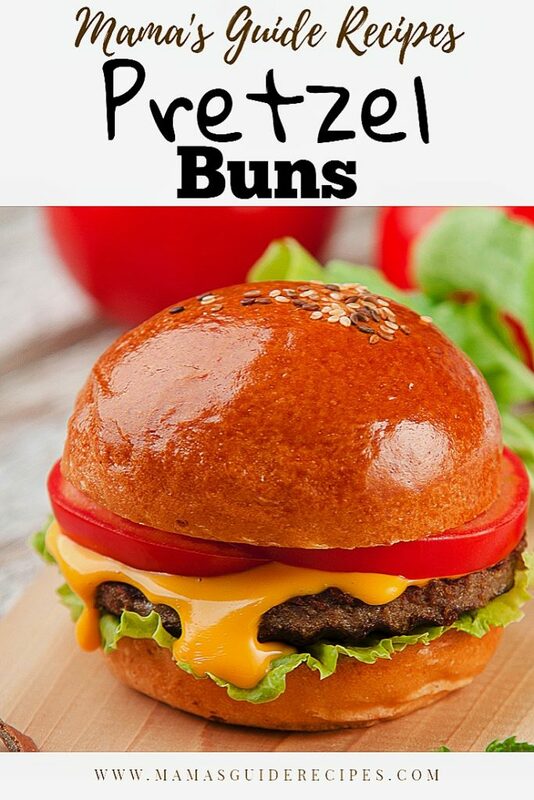 Kneaded, boiled and baked into a soft and extra chewy buns. So yummy with your favorite burger! Preheat ¾ Cup water to (120ºF / 49º C). Soften the unsalted butter at room temperature. Do not melt, just let it soften at normal temperature. Set aside. In a mixing bowl, combine flour, instant yeast, and salt. Add unsalted butter. Keep whisking and gradually add warm water. Knead the dough for about 10 minutes. Slice the dough into small 2 oz (57g) balls. In a large pot, add in water about half way full and bring it to a boil. Slowly, stir in baking soda. In batches, drop the risen dough balls in the water and boil each side for 30 seconds. Place the buns back on the cookie pan. Beat an egg in a separate container. Brush the pretzel rolls with egg wash. Then add sesame seeds on top. Preheat oven to 425º F (218º C), Bake the pretzel rolls for 15-18 minutes. Reminder: Heat of oven may vary, so always check the color of your buns and trust what you see in your oven.